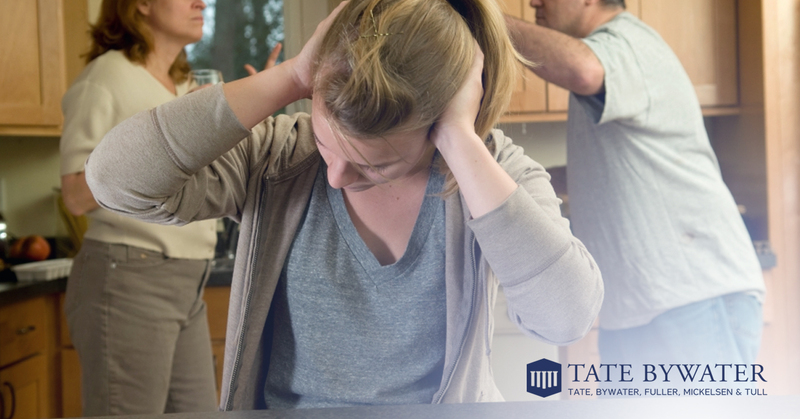 With TATE BYWATER family law attorneys on your side, your divorce can go through without a hitch. When you decide to go forward with a divorce, there are many questions you may have about the process. The most important question you may have- What will happen to my kids? Our family law attorneys are here to help you and your family throughout his time. Depending on the age of the child, specific action may be required when filing for child custody and visitation rights as a part of your divorce. The younger the child, the less the courts will look at considering a child’s wishes in the divorce agreement. However, many teenagers have the opportunity to voice their preferences on how the divorce will affect them. There are many things that your teenager will be assessed for before a judge will take into account their preferences. Continue reading to found out how your teenage child can have control in this difficult situation. Age– Again, a minimum age is not provided in the Virginia law. That said, younger children are rarely given the power to make decisions over their well-being for obvious reasons. However, teenagers can be considered old enough to make these decisions for themselves. Maturity– Your teenager’s maturity is more at play than their age in these instances. The judge will analyze the maturity of the said teenager and determine the intent and reasoning behind their preferences. In theory, most teenagers will be able to effectively communicate their preferences and provide clear reasoning for how this choice will benefit them. Maturity is assessed through the teenage child’s testimony, presentation, and presented evidence. In some cases, the judge may also request to meet the teenageer outside of the courtroom to discuss their preferences. Intelligence– A child’s intelligence will also be considered in a judge’s analysis. Evidence of their academic performance and extracurricular activities can be further proof that the teenager demonstrates responsibility, motivation, and ability to self-care. These attributes overall indicate that the adolescent is capable of identifying when they are properly cared for. Experience– In addition, a teenager will be able to properly communicate the experiences they have with each parent. A teenage child will most likely be able to share instances of positive and negative treatment, sufficient parenting evidence, and illustrate the type of relationships the divorcing parents have with the child. These assessments will range widely from case to case. In the end, a teenager’s exposure to each parenting environment will be a defining factor in the child custody decision. Rationale– The reasons for the child’s individual preferences will also be a point of consideration in the divorce hearing. With proper demonstration of their reasoning, a teenager has communicated their ability to understand the positive and negative consequences of their preferences and, ultimately, if their wishes should be considered in the final custody decision. Child custody is a delicate matter. However, our family attorneys are prepared to help you fight for your family’s best interest. This is a difficult situation and we care about the impacts this will have on your children, especially those developing in adolescents. At TATE BYWATER, we strive to properly represent your case to the best of our ability. Please reach out to your Vienna family law attorneys today to protect your rights throughout your divorce.